Meeting your project’s specifications is our number one goal. That’s why the products we build are rigorously inspected through every stage of the manufacturing process. At our facility, we have two CNC Coordinate Measuring Machines with CAD interface and reverse engineering capabilities. 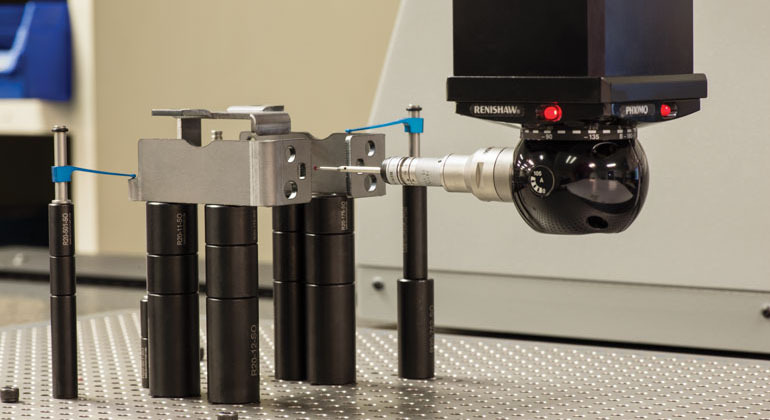 In addition, many of the machines we utilize have inspection capabilities built in. Full dimensional layout reports, with material and finishing certifications at the completion of your project. Contract inspection services to verify and measure your product. Capability Studies, Gage R&R’S, and any testing, either internal or through our certified testing suppliers. Mitutoyu model Bright A916 36″ X 60″ X 24″ CNC Coordinate Measurement Machine with full Cad Measurement capabilities. Mitutoyo Profile Projector, Model PH350, with a 14″ screen, 2-axis ALC, full digital readout and full contour/surface illumination. Mitutoyo Surftest Model 201 Surface Roughness Tester. Covel Model 14a 14″ Shadowgraph. Wilson Model 4JS Superficial Hardness Tester. Wilson Model 3JR Hardness Tester. 32″ x 84″ Surface Plate. If you have a question about our inspection process or capability, please give us a call at (734) 425-2225 or send us an email at info@telxcorp.com.